China wants to mine He-3 on MOON for Fusion energy. "... China wants to mine He-3 on MOON for Fusion energy. ..."
Well, I guess? If they actually wanted to burn through a whole lot of Yuan? Goes to show, that for all the censorship? They are reading the same fabulist fiction as us Big Noses. Though as usual all the enthusiasts assume the goal will magically be available without any effort or sacrifices on their part. As with their entire lives of cocooned first-worlder entitlement. Someone else will figure out how to make it work. Someone else will sweat to build the infrastructure & pay for it. That would make real the daydreams. If you believe? Truly believe? That the Frontier of Space is the desirable future of Humanity? Instead of excoriating me for being honest with you? You would be pounding out your manifesto as you establish a crowd-sourced website to fund the adaptive research for survival off Earth. & for subsidizing politicians re-elections. Or you won't get the time of day from that bunch! Well, if there is one thing guaranteed to get our American cousins off their arses, and sending missions back to the Moon, it will be the threat of the Chinese getting a jump on them. Just as happened with the U.S.S.R. in the 60s. Can't be a bad thing. Want to bet? It's happening right now and we're focusing on developing private-sector space travel because some of the people running the federal government claim it's robbing the citizenry by taxing them and don't really want to spend money on fixing roads and bridges, let alone space travel. I would have thought that the south pole region would not get the daytime heat that the other parts of moon get. I say - kudos to the Chinese. Astronauts are not liars. 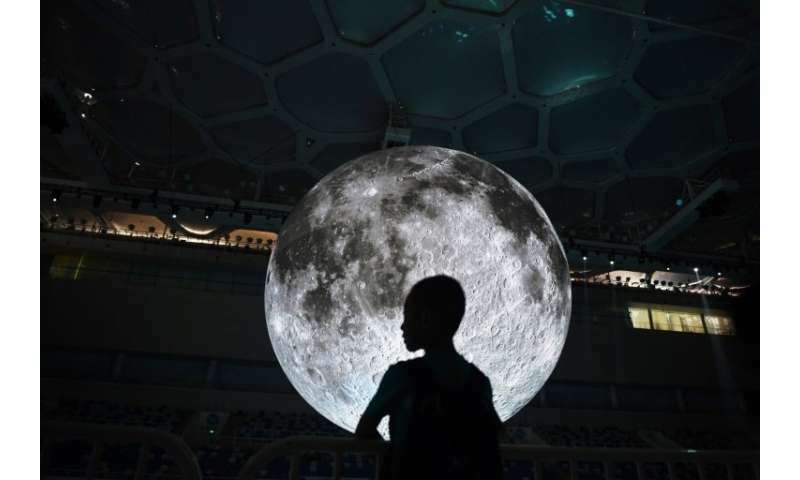 The Chinese government may THINK that they will be allowed to send humans to the far side of the moon, but I doubt that they will be allowed to set foot on that side of the Moon. There may be consequences if they make that attempt and it won't be pretty. What do you mean by "capitalist expectations"? Every human is a Capitalist, in one way or another - even those in California who are fond of defecating on the streets of Los Angeles and elsewhere in Cal. If you are opposed to Capitalism, then I will ask you the same as I had asked gkam - and that's to give me half of all your wealth. And if you don't comply, then that makes YOU a Capitalist Pig. The Chinese government just happens to be two-faced hypocrites when it comes to Communism as opposed to Capitalism. Oh segue, you are going to look so cute in your spiffy Space Force uniform as you march back & forth behind the drum majorettes & flag twirlers. In front of the strumpet's review stand. I'd say your unit should parade back & forth at least a half-dozen times. That'd be about the limit of the senile buffoon's attention span. Before he wanders off & his handlers have to chase him down & chivvy him back. You must have lived a soft, cocooned, coddled life shielded from the ugly realities the rest of us have endured. It is generous of you to put other peoples lives on the line for what ever benefit to your own self that you fantasize. However. Out here in the real world? & it is stupid to warn someone of your violent intentions. You are use to bullying people you perceive as weaker than you. I promise you, there are people out here way more dangerous then you & your spitballs. Interstellar Propulsion for all Mankind ! I should have used just capital. Follow the money. If you are opposed to Capitalism, then I will ask you the same as I had asked gkam - and that's to give me half of all your wealth. And if you don't comply, then that makes YOU a Capitalist Pig. I've given OVER half my wealth to other people. I only ask to keep enough to make more, in order to give it to others.. The Chinese government just happens to be two-faced hypocrites when it comes to Communism as opposed to Capitalism. Now when did I ever do any bullying that you know of, williejoe? Dangerous? Me? I would say that it is YOU that is far more dangerous with your propaganda talk of anticapitalismification of the US through unAmerican activities that you hold so dear and your hope of un-American activities spreading all across the US. Does this mean that you have traveled to China to see first hand the conditions under which the Chinese people live? Or are you just reading the Chinese propaganda and believe what you have read? I try to provoke the human monkeys to THINK - which doesn't always work out well due to their monkey DNA and the choices that they prefer. I have noticed that Venezuela, North Korea and Cuba are anticapitalist also. Perhaps you are hoping that the US will follow suit? There is no such thing as "practical socialism", unless you feel that there is a practicality of taking/taxing the wealth BY FORCE from one segment of the population of workers/earners to give to another segment who have no intention of working/earning because they feel entitled to the wealth of those who work hard for a living. There are many of both segments in every nation. And France seems to be undergoing what amounts to a small civil war - not only due to the higher price of petrol, but also because the French now understand that their "giving nature" has brought on a new class of beggars who feel entitled to the wealth of ordinary hard-working French people who are now being taxed to death for the purpose of acquiring enough money from them to pay into the climate change scammers. Trillions of dollars, marks, pesos, euros, etc per year, while the beggars steal the bread from the workers. Workers v. beggars - Socialism at its finest. poor little segue. So lost on the 19th century. Deluding himself that grovelling before the plutocrats will get him a few extra privileges. When honestly, he only gained their aristocratic disdain. & from those of us who have actually worked for a living? Our utter contempt for his parasitic lifestyle. In what way does that remaining side of the Moon help in solving the Energy/Climate Problem? That is currently the burning problem. So, Rather send a Plane up to release a stringful of Parachute-attached Solar panels (imagine a chain of beads) OVER the Sea at dawn....Once they SLOWLY reach the water surface by dusk, Collect the Power of the attached Charged Batteries and ensure that they themselves go back up again with attached balloons full of air blown into them, carrying up this time discharged batteries. A ship nearby can help in that action. Computer systems can alternate the procedures day after day ! Mining He-3 is an open secret. The Chinese adimit it and no one is racing to the moon to take part in this race. If they find a good supply of it, Space will really belong to then as the resultant fusion rocket will give them a ticket to near interstellar space. However such is not without its hazards. Space is NOT empty and their is to my knowledge no existing shield or warp drive that could facilitate one. Going to Alpha Centauri 3 in one of these will be a Russian roulette with a number of barrels loaded. Besides, we have a couple of fusion projects HERE, like Focus Fusion that could beat then to the punch. Workers v. beggars - Socialism at its finest. Seems more workers versus the government (the ultimate beggar). Groveling is what the "beggars" who LOVE Socialism do when they troop down to the Social Services office to beg for their monthly/weekly stipend, committing themselves to the life of a beggar, as they feel justified and entitled to the wealth of those who are working hard to support themselves and their family. Your "plutocrats" are those in the "Social Services" offices who dole out freebies to the beggars who sit before them. The working class, such as I and millions of others, never see any freebies - not even the lowest paid of us. But we all pay the taxes that help to pay the beggars for not working - and have no intention of working. By reading your comment above, I have also noticed, after reading thousands of your past comments, that you appear to have a reading comprehension deficit - plus an ability to twist the meanings of comments made by others to suit your own political bent. There are a few others here in physorg that have such a devious talent. I can only assume that you will be campaigning in 2020 for the candidacy of the mealy-mouthed rich biitch, Maxine Waters, or any other Socialist or Communist who meets with your satisfaction. In the event of such a Democrat Socialist and/or Communist takeover of the US government, I will presume that you would welcome the same form of politics as that of the Chinese government - since you appear to have been heavily influenced by the un-American revolutionary propensities of so many of your un-American compatriots in the US. The hard workers of France are to be taxed extra for the petrol they use - and many of them need that petrol for farm equipment, driving trucks, etc. so that they can ill-afford an increase in taxes. The equivalent of US$7.00 per gallon is too much as it is, yes? Would YOU be willing to pay US$7.00 for each gallon of petrol for your car in the US where you live? Don't you think that the American public would also blow up and march on the US government if such a thing happened? As they say, "you ain't seen nothing yet." Would YOU be willing to pay US$7.00 for each gallon of petrol for your car in the US where you live? No, he didn't. Economics did. The quickest way to a global revolution/armed uprising is to raise the price of crude oil - particularly in colder climates. They'll just blame OPEC and move south. So now you believe in Evolution? The beggars know exactly how to wheedle into getting their entitlements from the gov. You're right, corporate lobbyists and corrupt politicians. I didn't think it possible but you have brought tears to my human host's eyes, and for that I must say 'thank you'. The US now exports crude since it is plentiful. BUT if the Socialists/Communists take all three of the government branches of the US gov in 2020 or 2024 or at anytime, plus the police and the military - then you can kiss your low-priced petrol goodbye. It is possible that a certain percentage of Americans will agree to US$7.00 or more per gallon of petrol to comply with the Climate Change "experts", but the other percentage will not - unless they have been fully indoctrinated by Socialist professors and politicians already. When have I ever denied a belief in Evolution? Of course evolution happens, as I have said to FredJose and others. It is a part of the Natural Order that the Creator instilled in all biological living creatures, as needed - including His human creations. LOBBYISTS - whether corporate, union, religious, political, charitable, etc are in the business of siphoning off as much wealth from the taxpayers, through the government treasury, as possible for the gain of their constituency. Corrupt politicians are in the business of siphoning off as much in the forms of wealth, fame, legacy, notoriety usually with scandal, etc. as they are able. Such politicians are most often in dire need of wealth, etc. - particularly if they were not too popular with voters. Those who are rich to begin with, are incorruptible. Right Fascism, Left Fascism, segue fascism. segue is the swine in the farmhouse celebrating with the aristocracy he worships. Deluding himself that they are not laughing at him, behind his back. George Orwell. the Prophet for our times. I must agree on the utter futility of the Chinese venture to the Moon for the eventual purpose of stealing the He3 which should not be removed from the Moon by ANY HUMAN or machine. That He3 must remain on the Moon, as with all other gases, liquids and solids that have been a part of the Moon for aeons. For any human nation to take it upon themselves to steal any part of the Moon is criminal, and there could be severe consequences. I would look to the United Nations to make a "memorandum" to make it a crime for any nation or any individual to threaten the Moon's sovereignty by thievery of its natural resources - for whatever reason. And, as American astronauts had discovered in their walks on the Moon - there are the "others" who had been on the Moon at an earlier time - and perhaps have an outpost on or under the Moon's regolith. 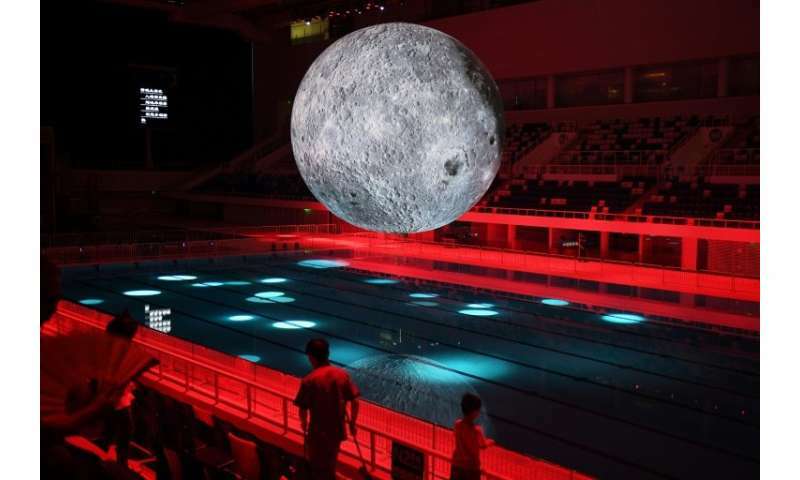 The Chinese will take their chances on the Moon - apparently for the glory of their nation/government. I don't envy them. You are conflating ME with your version of Fascism. I have never worshipped any form of aristocracy - not even the Queen of England - even though I respect and honour her as my sovereign. But I am now a US citizen, and I see that many Americans are, and have been fooled into believing the propaganda by the Leftists who are dying to wield the power and control of the US government, the US economy - and the American people in the long run. Williejoe, YOU may have been born and raised in the USA - but you are no American. 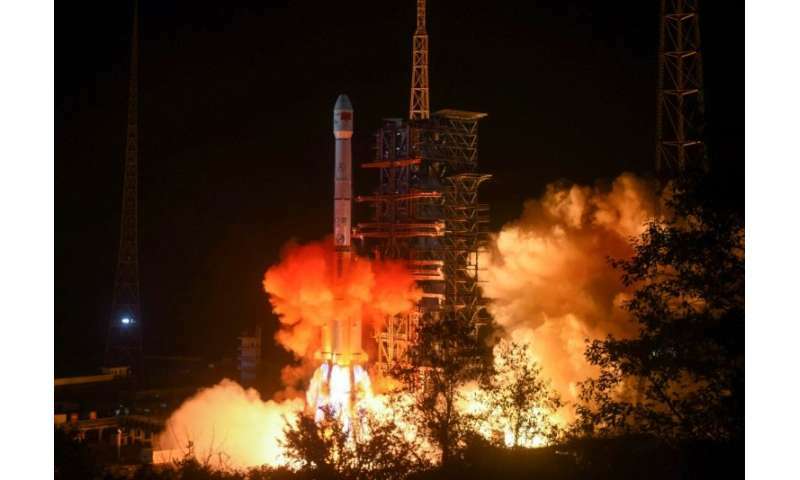 The Chinese scientists/government sending a rover to the Moon is a grave mistake. That rover will be causing some destruction of the Moon's regolith with its wheels, and may lose mobility as happened to "Spirit" on Mars. "Adding to the difficulties, Chang'e-4 is being sent to the Aitken Basin in the lunar south pole region—known for its craggy and complex terrain—state media has said." Their rover will certainly become stranded somewhere in that type of terrain - smooth it is not. The US/NASA did not send a rover to the Moon - only a lander - which was a very wise decision. Those who are rich to begin with, are incorruptible. S_E_U, it appears you missed the millennia-long lesson from human history. Consider HOW these/their forebears BECAME rich in the first place". Wars, cheating, stealing, murder (sometimes state-sponsored and sometimes by Warlords/Robber Barons and Criminal/Exploitative Gangs of all sorts, including 'priests/politicians and "civic leaders' etc etc in advantaged position/monopolistic/slave-owning 'systems'). Too many who HAD earned their wealth by their own honest efforts almost inevitably come together in mercenary/political/religious 'cabals' in order to MAINTAIN their wealth through murder/exploitation/deceit etc. Sadly, the lesson of history/human nature is: greed, avarice, wealth, power CORRUPTS; and ABSOLUTES in any/all those things CORRUPT ABSOLUTELY...unless kept in some 'check' by civilized institutions/systems. Unfortunately the RICH/POWERFUL ALSO CORRUPT THEM as well. I'm not too familiar with the properties of He3 as a propellant, but it should be interesting to see what the Chinese gov't will do if they aren't allowed to swipe the chemical from the far side of ol' Luna. And if they send their people to the Moon to excavate, drill, disturb, and tunnel in order that they may find something of value other than rocky material, the Chinese gov't could be slapped with a charge of criminal negligence (or something similar) for defacing a very valuable satellite that controls the tides of Earth and keeps the global equilibrium - and it provides a nice ambient light at night. The wolves howl at it too. If China sets up an outpost there on that side of the Moon with a space station in orbit, it will cause all sorts of problems internationally. If NASA also decides to send astronauts back to the Moon while the Chinese are on the dark side, that too could cause problems. Another thing that concerns me, is what Neil Armstrong and Buzz Aldrin have said wrt what they had seen on the surface of the Moon - ships - big ones and not ours. They could not have been hallucinating - no, not our astronauts. It would take testing and more testing before such a chemical as Helium3 could become useful as a rocket propellant. I would think that the temps would need to be as high as 1 million degrees c for it to become spaceworthy as a propellant; however, other chemical propellants may not have to burn quite as hot. But I would leave that to the chemists and engineers to be concerned over. By the term "incorruptible", I was actually referring to President Donald Trump, who is a very rich man. Those who are already rich and are also honest, have no interest in breaking the laws - unless they have become evil in mind and spirit. Trump is an honest man and loves his country and its citizens. It's CITIZENS, I must emphasise, and while he is President, he is not bought and paid for, as many career politicians have been. The man has had everything that he could possibly want or need - 3 beautiful wives, 5 wonderful children and grandchildren, a beautiful house, rides on AirForceOne, the adoration of at least half of all Americans, the very deserved respect of millions of people around the world, the return of businesses to the US from abroad - the list is too long to mention here. I suspect that you have some sort of grievance against rich people. Whatever for?? They may put on "airs" that most people not in their circle are able to do, but who cares? Okay, I'm kinda split on this cagefight, My favorite buffoons to torment & I haven't calced the odds for how to bet the snarling monkeys. Seriously, S_E_U, as I suggested already, you should learn more regarding the subject matter before opining like that; because so far it's all too obvious you are either dangerously naive, biased or just plain ignorant (as in not knowing) of ALL the facts. Do a thorough investigative search about Trump's litany of failed ventures, scams, frauds and corrupt 'business practices', and you will quickly be disabused of your 'rose colored glasses' view of such 'rich' people. No 'grievance'; just lessons from RECORDED HISTORY. Learn more; trust less, S_E_U. You have wisdom beyond your earthly years, and you have arisen out of the pit in which the great majority of human monkeys strive to outdo each other. Consider yourself elevated to the second level of greatness, where you and your compatriots at that level have sloughed off the chain that binds thee to the tree full of monkeyshiners. So by your standards, I would have to be naive, biased or ignorant - all due to my favoring this President. Truth to tell, I am unconcerned with the President's past peccadillos, nor that of his ancestors, family, friends, and business associates - as I did not know of him in his previous formative periods. I know that he has made certain promises before the election, and which he was quite sincere about, and had every intention of keeping his promises to the American citizens for which he was elected President. He is doing just that - keeping his promises. So I have no quarrel with a man who keeps his promises. They desperately need an American buffoon-type like you in Caracas to torment the Venezuelan citizens anew, where you will be able to taunt them for voting for their new Communist president Nicolas Maduro, who has taken the place of their previous Communist president, whom they also voted for - where both presidents provided for themselves and their military with wealth from the country's oil reserves and stole the food from the mouths of the citizens and their children. Now that the citizens of Venezuela are starving and attempting to flee to Colombia and abroad, Maduro needs YOU to hold the line to keep the population from storming the presidential palace and hanging him - since YOU are a known staunch Communist sympathiser, williejoe. Maduro NEEDS you, williejoe. Don't disappoint him. and the observation by cantdrive85:- jonesdumb has still never answered who dresses and feed him in his dementia riddled condition? SEU> You have wisdom beyond your earthly years, and you have arisen out of the pit in which the great majority of human monkeys strive to outdo each other. Consider yourself elevated to the second level of greatness, where you and your compatriots at that level have sloughed off the chain that binds thee to the tree full of monkeyshiners.. I would have to be naive, biased or ignorant - all due to my favoring this President. Truth to tell, I am unconcerned with the President's past peccadillos,.. PECADILLOS?! Bribery, Fraud, corruption of judicial systems/political process etc are NOT "minor offenses", S_E_U. If you or I did that we would be in JAIL quicksmart. Your tolerance of RICH/POWERFUL INDIVIDUALS/GROUPS perpetrating such misdeeds (and probably WORSE EVIL) is TELLING of YOUR MORAL COMPASS 'bearings', S_E_U. At what COST to national cohesion, future viability, S_E_U? His SIMPLISTIC 'promises' mean POISONED water/Air; CLIMATE CHANGE disaster; DISLOCATED Society; etc. Spontaneous ignition temp for hydrogen is 500C (932F)?